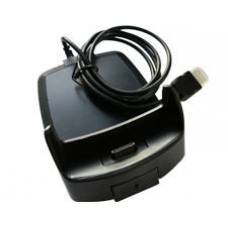 This USB cradle is specially designed for the HP iPAQ hw6500 series handheld. It will sync and charge your PDA via the USB port on your computer / laptop. Now you can have a cradle sitting on your desk, preventing your iPAQ handheld from scratches / dents. * Great for Home or Office. * Compatible with USB and USB2 ports. * Synchronise and Charge at same time. * Charges from 0% to 45% in just a few minutes. * Charges from 0% to approximately 85% in about 45 minutes. * 100% OEM Compatible Cradle.